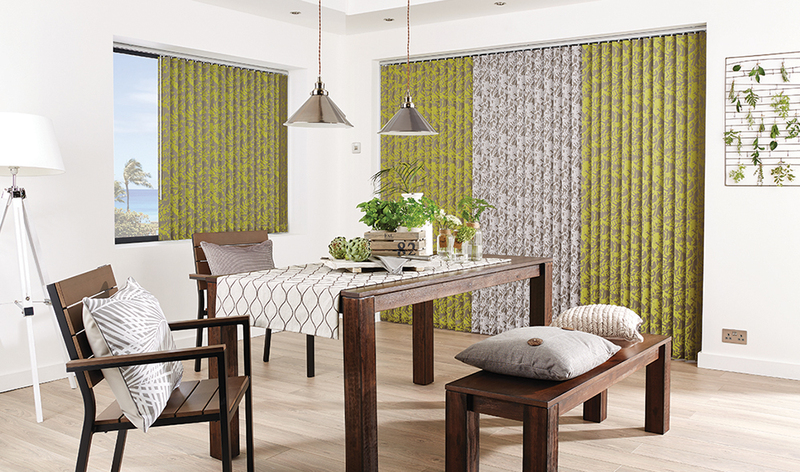 Vertical Blinds are available in a wide range of colours, materials and fabrics. For instance, you can have PVC Vertical Blinds where water-resistance is desirable, such as in your bathroom or kitchen. You can also have blackout Vertical Blinds in your bedroom to block out street lights and enjoy a better sleeping quality. When choosing Vertical Blinds, you might be tempted to get ones with solid and natural colours, such as white and cream, that will go really well with any home interior, but your window blinds don’t have to be boring. There are many more exciting designs and colours out there for you to explore. 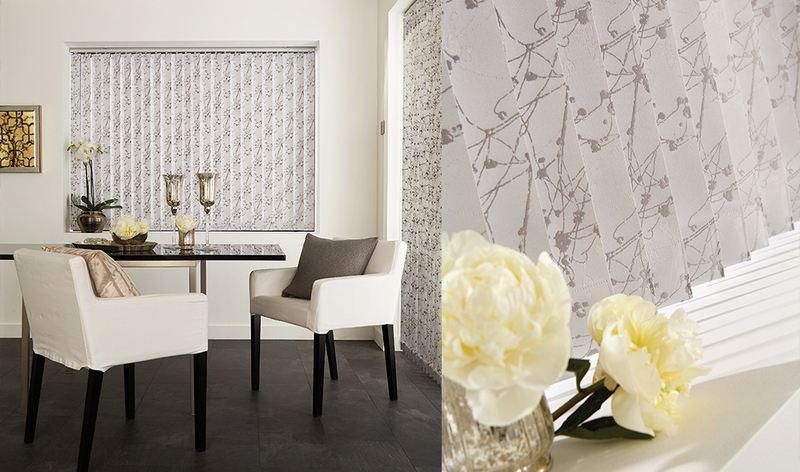 For example, you can choose white or cream blinds with texture or soft patterns to add a sense of luxury to your room. If solid colours dominate in your room, it might be a good idea to add a complementary element to its décor by choosing patterned Vertical Blinds. Patterns can immediately transform a classic room to a modern exciting one. Take the below living room for example: the furniture, wallpapers, coffee table and carpet are very simple, neutral and “boring” to some extent. The unique, colourful Vertical Blinds have transformed it into a beautiful and an unforgettable room, full of life and energy. 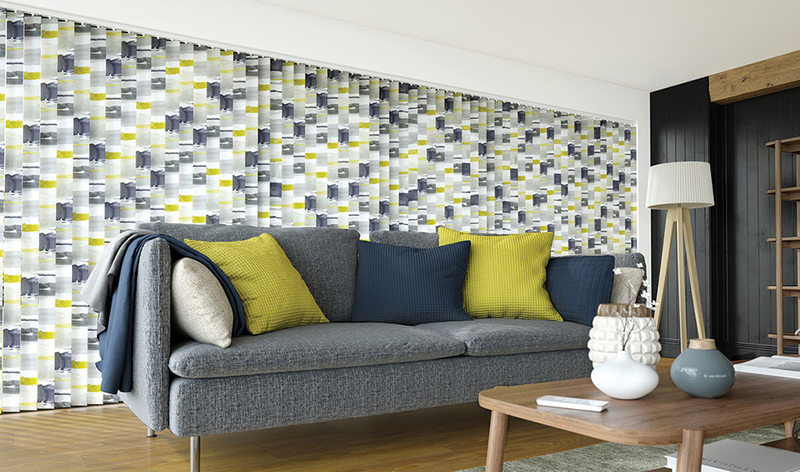 You can literally design you Vertical Blinds the way you want. You can choose fabrics, mix colours and add patterns the way you want and create a beautiful design that is unique for your home. The dining room below is one good example: The designer have chose to cover the patio doors with two different colours of Vertical Blinds; grey and pistachio. The mix of colours helped to soften the overall look of these beautiful Vertical Blinds since they are covering a large space. The choice of colours and patterns have also added an elegant style to the room. Don’t be afraid to choose bold prints if the rest of your room decoration is not too busy. 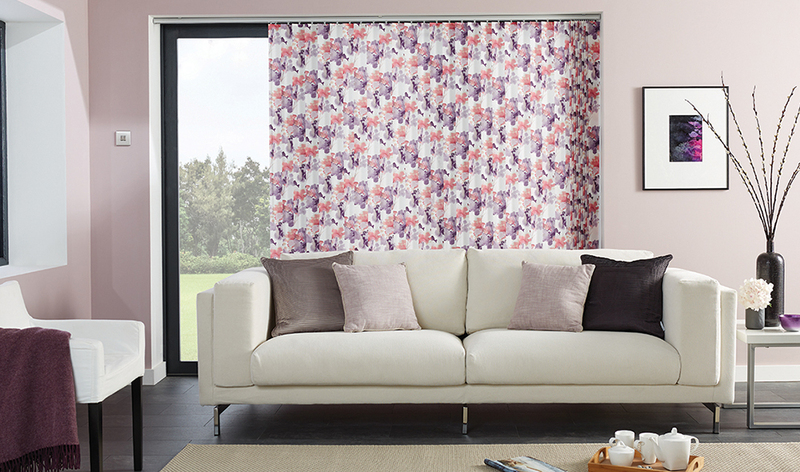 Colourful prints will help you add a contemporary and stylish look to any classic room. However, always remember the main rule: the size of prints you choose have a direct impact on the sense of space in your room. It is advisable to choose small prints in small rooms and big prints in big rooms. But if your big room is crowded with furniture and decoration elements, you may want to choose small patterns as big patterns in this situation will make your room look smaller than what it actually is and feel busy. Learn more about how to use patterns in your room. 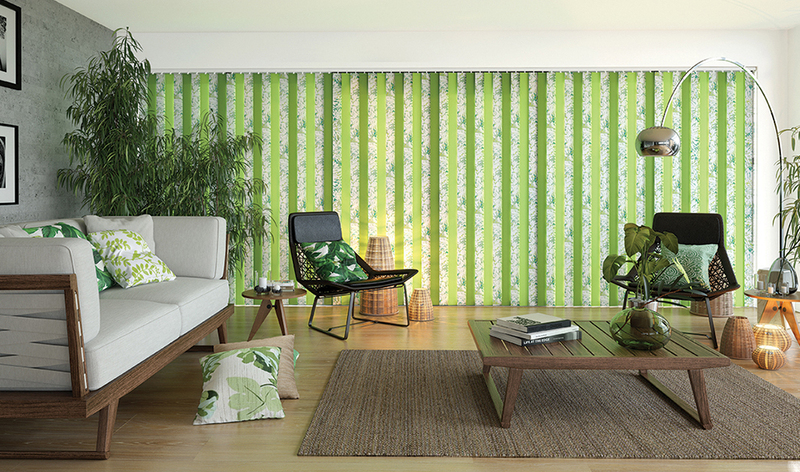 Our high-quality Vertical Blinds are available in a wide range of fabrics, patterns and colours. We offer a free home service allowing you to see fabric samples in your own home and will provide you with a no obligation quote. You can also visit our showroom at our factory in Wombwell, Barnsley to see our full range of products. Previous Previous post: Are Roller Blinds Suitable for Bathrooms?